It's that time again, North America, for more Nintendo Download goodies to grace your systems, with all but the Wii being treated to something new this week. There's a lot to get through, so let's not waste too much effort on this pre-amble. Kung Fu Rabbit (Neko Entertainment, $4.99) — This action platformer, originally a smartphone game, is the second Wii U eShop release from Neko Entertainment. Naturally it's seen plenty of enhancements in the transition to Nintendo's system, and delivers entertaining, well polished platforming; its snappy levels make it ideal for game sessions short and long. You can read more details on why we rather like it in our Kung Fu Rabbit review. Tank! Tank! Tank! (Namco Bandai, free with paid DLC) — This was originally a launch retail title and, in case you weren't sure, features lots of tanks. This download offering essentially splits up the full game into bite-sized pieces that you buy individually. Below is the list of packs that were included with the European release, but we'll confirm the details and prices as soon as possible. 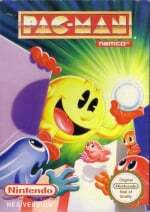 Pac-Man (Namco Bandai, $4.99) — An iconic arcade title that truly propelled Namco Bandai into the gaming public's consciousness, and an IP that's still immediately recognisable to many today. This NES version provides a solid experience based on the original, which has previously seen the light of day on the Wii and 3DS Virtual Consoles. We'll be tackling it on Wii U for a fresh perspective, but until then you can check out our 3DS Virtual Console Pac-Man review. Mega Man (Capcom, $4.99) — It wasn't long ago that this was kicking off the latest Virtual Console campaign for the series on 3DS, yet this Wii U release doesn't have a discounted price as it does in the UK. This one is an important part of Blue Bomber history as the series debut, but has growing pains largely resolved in its well-loved sequel. It's still very much worth a look, as our 3DS Virtual Console Mega Man review explains. Zen Pinball 2 (Zen Studios) — The following Marvel tables and packs will be discounted until 9th May. BearShark (CollegeHumor, $3.99) — A tie-in with the animated series that's been gracing Nintendo Video in North America, this sounds like an endless runner, though we can expect plenty of humour to be thrown in. We'll get behind the gags and see what this is all about in our upcoming review. 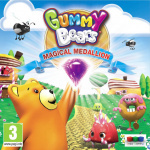 Gummy Bears Magical Medallion (Enjoy Gaming, $5.99) — GUMMY! Whenever Gummy Bears are mentioned, it should be a legal requirement to yell GUMMY! very loudly. We're stalling on a description as all we know is that this game claims to be a "classic adventure platformer" with 12 worlds (we'll see about that) and also has a Mini Game option. We'll rescue the land of Gummy, as we'll assume it's called, and bring you a review soon. Balloon Fight (Nintendo, $4.99) — It seems that wherever we look in recent weeks Balloon Fight is there, just begging to be remembered for its balloon popping shenanigans. Previously available to Ambassadors, it now gets the full VC treatment on 3DS, including download play multiplayer (just one copy needed); as you can see in our Wii U eShop Balloon Fight review, we feel this one is starting to show its age more than others. My Riding Stables 3D: Jumping for the Team (TREVA Entertainment, $29.99) — Earlier this week we mistakenly branded the European release of this one as the eShop arrival of Riding Stables 3D, but it seems that this is an all-new title. There's a story about a cold-hearted banker — which is nice and contemporary — and features such as StreetPass and Augmented Reality to accompany the horse-simulation fun. Armageddon Operation Dragon (EnjoyUp Games, 500 Nintendo Points) — This is a top-down runner game with 32 levels to tackle, in which you collect orbs of energy while riding a dragon; all to save humankind. It sounds like a normal day at the office, and we'll save the world to bring you a review, while answering the question of just how similar this is to Zombie Skape and/or Crazy Hunter. So, lots to consider with a huge number of discounts and some fresh goodies arriving on your consoles. Let us know all about your download plans in the poll and comments below. Well the Wii U VC offerings are somewhat disappointing after seeing what Europe got, but I'll never complain about more Mega Man. ...really? That's it for the Wii U VC? You're kidding me. Mega Man first Then I'll give the free Tank Tank Tank a try. I certainly wouldn't pay the full price for it based on reviews. Didn't US get exactly the same Wii U VC games as Europe? And this week Europe got Mega Man and Pac Man, as well. Pretty bad Wii U VC in my opinion with all they have to choose from, but I have to say I am tempted to try out MegaMan for the first time. I heard it's not that great though. nothing for me. i haven't bought a small eShop title in a long time. Ugh I guess I will just get something else for myself like maybe a Kobo gift card or iTunes or something. 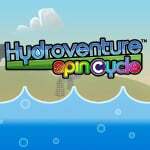 I'm going to get discounted Fluidity: Spin Cycle and update Ballon Fight which if I'm not mistaken is the last NES ambassador game to be updated. @russellohh I was also looking forward to Harvest Moon GBC. @CrabGats Nintendo has to rebuild/re-code these classics on Wii U to take advantage of the new features. So many good stuff on my birthday!, I got nano assault ex on sale, probaubly will get balloon fight on 3ds, might get art of balance and bearshark. As of this update, all NES Ambassador games can be updated! How good is mega man. 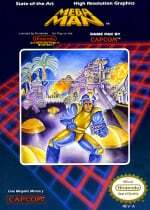 Should I wait for mega man 2.i really want some mega man. But I want a good one. I'll probably take advantage of a couple discounts.. It is indeed the last ambassador game, @HeroOfCybertron ! Unfortunately I don't have the funds to get any of these games but if I picked one, it would definitely be Art of Balance Touch. About time I can update my Balloon Fight 3DS version! @Wiidsguy: Wait for 2 and 3. Both are superior to the original. The original isn't terrible, but not great either. Well I really dont need Mega Man since I have that on my 3DS now. Think I am going to skip this week but thats ok going to be picking up Injustice this weekend and I think that will keep me busy for awhile. Also am I the only who can vote but is able to return the page and vote again? I'm so happy about the Marvel pinball tables being on sale. That tank game has my interest too. I'll just try to take advantage of sales. I can see it now.... Wii U VC is going to be a joke and a waste of time. I was gonna download the only 3D classic I don't own, Kirby's Adventure, but I've decided to wait, they've given us all of the other 3D classics as gifts from Club Nintendo, I'm sure Kirby will be free to download some time this year So, Pushmo time! @Wiidsguy I would get it. In my opinion Megaman 1 was harder than 2 the first time I played it. It wasn't as good as two but it was still fun. So, Japan and Europe get a decent dose of titles announced for this week. What do we get? Two. TWO FRIGGIN' TITLES. I mean, I'm happy to get Pac-Man, but I was expecting to be able to update Super Mario Bros. and Xevious. So, thanks a bunch, NOA. At least you don't fail when it comes to disappointing your fans. I have ££££££ that I want to throw blindly at Nintendo and they just don't seem to want my money at the moment. Super Metroid is a definite for later in the month but if they drag out the full price VC games any longer, I will actually have Wii U games to play instead. Where the hell is Super Mario Bros? Why did the Wii VC have a much better selection from the off? Great week! Tank Tank Tank DL version is finally here and the 3DS NES Ambassador games are done in North America. @UnseatingKDawg This wasn't a bad week, and what do you mean updating Super Mario Bros and Xevious? Woo! Now's my chance to pick up Marvel Pinball and Nano Assault EX!! @MrSRArter: Well, put it this way - there's a good variety available, so it's a good week - I can't really argue with that. It's just not for me, since I'm a huge fan of the Virtual Console. What I meant by "updating Super Mario Bros. and Xevious" was I have both of those games imported onto my Wii U from my Wii, and I plan to download all of them natively through the Wii U Virtual Console. I just say I "update" them because that's what I consider them - updated with Game Pad and Miiverse Support. I have two "updated" so far - Kirby's Adventure and Super Mario World. Was really hoping for A Link To The Past (in NA)......sigh. Going to pick up Nano Assault EX for now. Why on Earth is Nintendo delaying the release of Harvest Moon GBC in America/. @Joshers744 There's no time like the present. Not as good as its sequel, but still a fine game in its own right. As an update to the note I said earlier, I see myself buying a maximum of six games and updating one, for a total of seven this week. I'll either pick up something from Tank! Tank! Tank! or get the discounted Zen Pinball Dlc. I just bought a Panorama tour, maybe I should've used that money for TTT? This wasn't a bad week for paltry releases? Boy, I'd hate to see whenever there's a bad one! I'll get some good discounts this week. Good to see lots of discounts, but nothing for me this week. Tank Tank Tank? Well that was a surprise. Looks like I will be using my Deluxe Digital Promotion points this week. I just bought Nano Neo EX last Monday!!! A day before the sale was announced!! Dang it!! Well, at least the last of the ambassador games have been revealed. Somebody record the NES Ambassador jingle. Marvel Pinball 3D has my attention, and soon will have my dollars as well. Very pleased about that sale price. @divinealpha They don't rebuild, or recode, what are you talking about? They're not going to those extremes, they're simply porting the original file. The hassle is moreso creating the emulator, I believe. After that I don't believe they have an excuse. Nor can I see the people at Nintendo going through literally nook and cranny of their Wii U VC games to make sure they run perfect; it's not out of the question, but it sounds a bit silly, don't you think? In the end, though? What's done is done. There's really no point in me complaining. @Ralizah: Um, correct me if I'm wrong. I didn't really follow Harvest Moon GBC, but wasn't that supposed to be released in April? @TwilightV: I actually did that once I read it. @Joshers744: Well, that doesn't surprise me. I've been waiting on Sonic 2 Game Gear since before the 3DS launched. Maybe I should apply for NOA - I'm a fast learner, and I'd make sure at least 10 were available per week - can't be that hard to put a ROM in an emulator. Anyone who doesn't have Pushmo should get it. You'll get a great bang for you buck. @UnseatingKDawg I'd be a reference if that helps. haha. That made me remember I wanted that game too but gave up on it long ago. @divinealpha Thanks for all the updates! Not. Check some of your information please. A lot is completely incorrect. Nada for me this week. Mario VS. Donkey Kong next Thursday though. @Joshers744: I'll be sure to add you. XD I'd really like to get that game for the VC on 3DS. I mean, I have the Wii VC version, but that's Master System. Sonic 2 was my first game ever on my dad's Game Gear. Friggin' hard, but it's awesome (and I know this is a shocker, but I consider it superior to the Genesis Sonic 2). WOW!!! This is a PATHETIC VC lineup. Nintendo, same song different dance with the VC all over again!! Yeah, when my parents told me and my sister they were splitting up, my dad took me to the mall and I found an old Gamegear and that game and he bought it for me (this was like, 2000) so it's got some memories for me too. Sorry for the life story there. And no harvest moon yet. About the ambassador games, I have no plans to update Ballon Trip since I want to keep it in its original form, I never use it anyway so it's not like I'll miss the new features. I just got ATV Wild Ride 3D and Art of Balance on 3DS. Considering Fluidity Spin Cycle and Tokyo Crash Mob for 3DS and the Zen Pinball tables and Kung Fu Rabbit for Wii U.
I'm loving the fact 3DS and Wii U are seeing regular deals. This with along with Club Nintendo game rewards is showing that Nintendo has really upped their game in terms of the online store front. Deals + game rewards = epic. Can't wait to see what this months new CN rewards will be. I'm happy to see Balloon Fight get its update (especially now that it has download play). Awesome week, I really love the amount of discounts currently available. Mega Man and Pinball for me, maybe nano assault too. Even though those are the worst possible Wii U VC games (to me anyway), this is still a pretty good week. Zen Pinball 2 discounts! It is a great day people! Nothing for me this week. I'd have taken advantage of the Marvel Pinball sale on the Eshop if I didn't already have the superior Vita version. Oh wait, I don't even have enough money in my wallet anyway to get it even if I wanted to. Whatever happened to HM GBC though? Not that I have the money, but it was supposed to be out at the end of April. I guess this is Ninja Gaiden all over again. What I want is a Zen Pinball 2 sale on PSN. So if Nintendo releases alongside them then hopefully the pace on VC releases can only go up. Awesome week. Gonna have to buy Mega Man. I've still never gotten Pushmo or Dillon's Rolling Western either so this is a good time to try those. Gotta buy some discounted pinball tables too! So much! @aronatvw No actually, i like nintendo otherwise i wouldn't have signed up. I just hate what a mess nintendo has made of the wii u. This is an awesome day. I already have so many of these discounted games, but there are a few I can now download. I'm really digging all these sales. Geez. I honestly think good stuff shows up on the eShop every week. There's tons of VC games on Wii I would want, but don't have money for(well, I'd rather buy a new game anyway). I just bought Megaman on Wii U. I know that it's on 3DS, but I'm holding out for Wii U VC to play them on my TV at home like the NES. 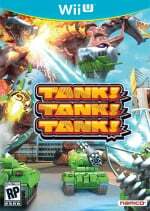 I don't know if this is off-topic, but if you were to download Tank! Tank! Tank! and buy all the parts of the game separately, it comes out at close to $32. That's cheaper than the current retail price at Gamestop ($50 for New). So we finally get a retail game that's cheaper on eShop than in retail stores. Personally I think the game should've been a $20-25 eShop-only game to begin with, but this is nice. Going to get Story Mission and My Kong Mode and then wait and hope for them to pull a Fire Emblem Awakening and do a cheaper bundle price for the maps. Just the free update for Balloon Fight for me. After seeing EU getting 3 NES 3DS VC titles, I was hoping for the same. I wonder whats the better alternative for tank! tank! tank! You can buy a physical copy for pretty cheap. I am gonna download that demo at least check it out I was always curious about it. I'm buying lots of 3DS eShop games. Anybody having problems downloading Tank! Tank! tank? It took my Wii U hostage twice with perpetual loading screens, both tries ended in download corruption. @LunaticPandora I 100% disagree with your statement. Sure, it is a little weak, but its gonna get better Especially with Earthbound coming. Honestly this could've been better. The only thing that's even remotely interesting is mega man, pacman, and maybe kung fu rabbit. Everything else is something I can pass on. Hopefully Nintendo will step it up in the coming months and have some better VC titles. I'd love to play super mario bros. 2 again. @X-Factor Thats because it had nothing to do with the game. Why is Nano Assault EX not on the voting list? 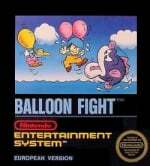 @JMDS Nano assault ex would go under "One of the Shin'en Multimedia titles (3DS eShop discount)"
I love Balloon Fight. I am updating my ambassador copy right now! Can't wait to do Download Play with my friends! Don't forget that they are also discounting a few titles for the 3ds, $4.99 for Liberation Girl and others. @Tysamu Liberation Girl looks pretty cool. Woah you guys, @Darth_Pascal is right - I just downloaded Tank!Tank!Tank! for nothing and a 60 coin survey showed up in my Club Nintendo account. Surely worth a try for that alone! @Barbiegurl777 I'm interested in knowing about Gummy Bears too. BearShark makes the second game for 4.04 in Canada, good thing I have no interest. Really wanna spend the money left on my 3ds account, but yet again... nothing I'm interested in. And still waiting for Harvest Moon. Defiantly Mega Man for me. I have eShop credit and have been wanting to play it. Plus the 3DS buttons are too small for VC games with my big hands. @SCAR392 "Tons" of VC games on the Wii U? I hope that was a joke. < 10 games is not "a lot" and two games per week when other regions get eight or so is not being smart either. Said Wii, not Wii U. Read next time. @SCAR392 Still doesn't change the fact the Wii U only got two games this week. There is no excuse when other regions got more. No wonder people use ROMs. Either "Balloon Fight," or "Kirby's Adventure 3D" for me. Those are some of my fav' NES games, and they'd be great to have on the road. I really don't care. Buying Wii U for the VC is probably one of the lesser reasons to buy a Wii U. I look at VC as a perk, not a main reason to buy the console. Obviously it's a perk I use, but I mainly buy new consoles for new games. They get a little extra cash for offering old titles, I buy them. I didn't ask for VC, it was just there. There are reasons. It's called relicensing these titles, which already easier to do than from scratch like they did for Wii. If this was the generation they started offering VC, things would be going even slower than they are now. Just be grateful for what is there. Wii mode is still there if you want the game super bad and can't wait, besides Earthbound and some others, but there's plenty there. Got Fluidity yesterday, getting Marvel Pinball 3D now. @SCAR392 They don't have to re-license their own games. I can see licensing issues for some games, but their own franchises? I doubt it. That's no excuse to release two games that have been released before and overpriced mind you. I can't stand the games on my HDTV, they're not filtered, but look perfect on the game pad since they're not scaled to high heaven. Scaling Snes games from a 240p to a 720p is a big mistake without a bilinear filter. NES games are filtered, but Snes games are not. I don't see why they coded a filter for NES games, but not for Snes. It isn't that hard to implement. Why can't both original Nintendo and Super Nintendo games be filtered on the HDTV and game pad? I can only imagine how bad GBA games will look without a filter. They trickle these games slowly so other companies have a chance to sell their titles without flooding their own market. Nintendo could literally just put every one of their classics on the eShop right now, but they are giving other's a chance to take advantage of thier marketplace. So you think it is pathetic that 3rd parties are slow? That's what Nintendo is waiting for. Their priority is to make the eShop attractive for companies and consumers alike. They would kill any chance of 3rd parties doing good on the eShop if they flooded the eShop. You are basically calling 3rd parties pathetic for not releasing more games on Wii U. Ya, we get it, there needs to be more 3rd party games, but that not Nintendo's fault. I hope you aren't calling Nintendo pathetic, because that would be the complete opposite of what's actually going on. BTW, your HDTV complaint makes no sense. It doesn't have to be filtered because it is a pure digital signal output at 1080p. NES games are filtered, because that's how they look in HD, regardless. They were able to make SNES games clearer because the games were actually improved technically from NES to SNES in the carts. They aren't overpriced, and obviously they've been released before. It's VC. Go find any of the titles on the Wii VC in cart form. Not so over priced, huh? It's a guaranteed method to distribute older games. If you already have the original cart, just go play that, or sell the cartridges to buy the digital version. @Kevin that's what I think I will do. Thanks for the help. @Shanksta I think I will wait. And go back to it after. Or maybe I should grab it so I can work my way up. Now I'm not sure what to do. @SCAR392 They're clearer, but that doesn't make them better. On an emulator for the PC for example, they look clearer and better. They're unfiltered, if the VC is meant to be nostalgic, they need to have the CRT look they did in the 90s. My complaint makes perfect sense, I don't know what was so confusing about it. Digital or not, it is not how it should look. They look fine on the game pad, but not on an HDTV, unless I changed to 480p, but then what's the point in having an HD Console? 33% of people say nothing? Really? All the sales, the free stuff. Nothing? Wow we got some picky people. A lot of discounts. I need money, hehe. They look better in HD, IMO. I already know what SNES games look like from an SNES on an SD AND HDTV, so posting screenshots won't be necessary. Besides, the only possible way to make these games look better on a PC, would be if you have a monitor over 1080p, and have illegal ROMs. I've never tried to illegally download ROMs, but my cousin had Kirby 64 which looked better than the N64 cart at the time. That was before VC was even around, and GameTap was just getting started. Obviously GameTap failed, but I think Nintendo is doing a good job of putting VC games on the Wii U at all. It's expected seeing how Wii had VC, but like I said, they are putting out the games slow to give other comoanies a chance. I still have some VC games in Wii mode, and the Wii Shop is still there, presumably still working on Nintendo's servers. There's other ways to alter the way anything looks. I'm sure if you had a PC with HDMI in and out, you could easily hook up your Wii U into the laptop and alter the video settings output to the HDTV using software that does that. I'm not 100% sure if it exists, but that sort of thing is basic stuff, so I'd be surprised if a pass through feed on a PC didn't exist for a 'more authentic' video experience if the user decides to do so. @SCAR392 It's still not true HD, even when Wii games are scaled. They're only outputted to match the TV resolution, but they never exceed the 256 x 244 resolution. Wii games are the same deal, the resolution is still limited to 640 x 480, but the TV scales it to match the 720 or 1080 resolution. The games are locked at their native resolution. The SNES games look clearer because the pixels are scaled to match and have no color bleeding that CRTs have. They were never meant to be played >480p. They could at least make 480p signal swapping when VC games launch and then go back to 720/1080 when you close it. Lazy programmers. Are you kidding? The VC games ARE in HD. It even says so in the eShop. They have these games on file in their database, just like any company. They just pull back out the file, and release it on an HD console. The game shows up any way it can on screen. HDTV gives you HD, SDTV gives you SD. There is no upconverting through hardware or any software enhancers running the games. The software itself plays no part in whether it's HD. Obviously, there are no textures or polygons in most SNES games. I think it really depends on whether you define HD by the content on screen, or the hardware. The VC games aren't HD graphics wise. They are only displayed in HD no matter what the graphics are. @SCAR392 Yup, I've been joking and screwing with you this whole time. I should be punished for my shameful behavior! Thanks for the fill in. Sounds decent sized for the price. 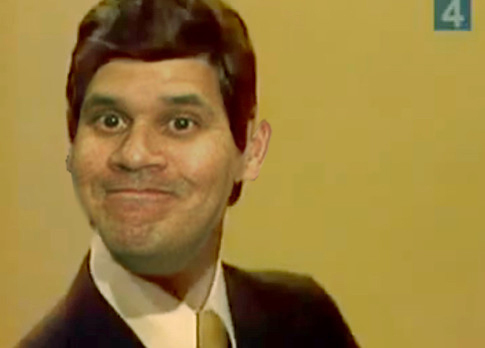 @aronatvw lol yeah, i didn't actually, nintendolife did, i wasn't exactly given a choice. MYST is on sale, too - $9.99 on the Nintendo 3DS eShop. @LunaticPandora lol yea, you sound so mad all the time, you need to learn to relax. Zen Pinball 2 DLC, Marvel Pinball 3D, Fluidity: Spin Cycle and Art of Balance TOUCH! all for me this week!